The Big Bang created only hydrogen, helium and a bit of lithium, but there are many more elements in the Universe. There is nitrogen and oxygen in the air. Living organisms have, in addition to oxygen and hydrogen, plenty of carbon. We currently know of over one hundred elements. The first generation of large stars produced a lot of carbon, nitrogen and oxygen, and all the elements of the periodic table all the way up to iron and nickel. Heavier elements were created once the stars exploded as supernovas, or in collicions of compact stars such as neutron stars. The second generation of stars contained the materials created by the first generation of stars. 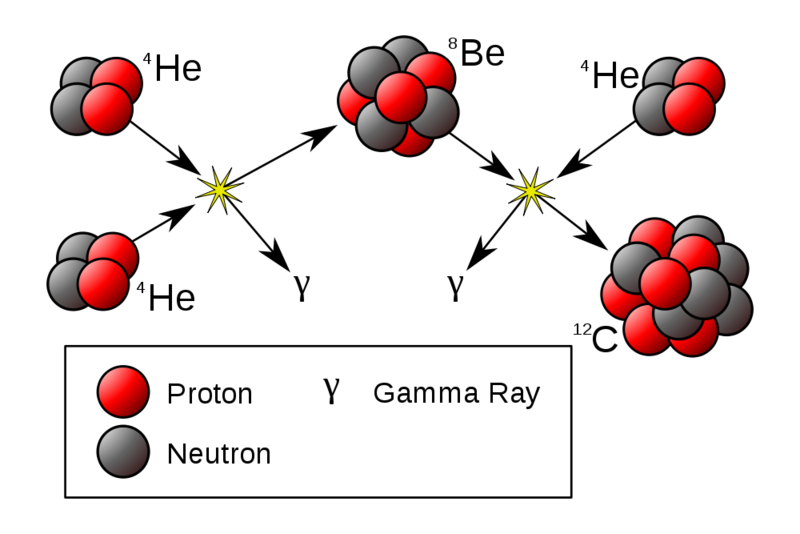 Large second generation stars use these newer elements as a catalyst to burn hydrogen much more quickly into helium.